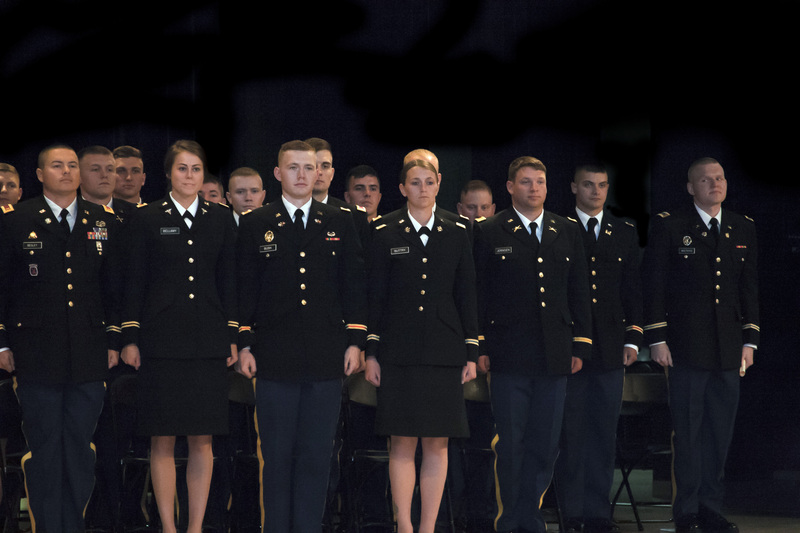 In time-honored tradition, the Colonel's Battalion formally commissioned new officers at the end of the spring 2017 semester. 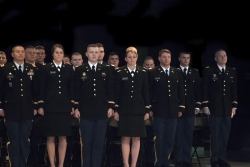 Cadets were formally commissioned in a ceremony with family and friends on Thursday, May 11, in O'Donnell Hall of EKU's Whitlock Building. The 18 newly sworn officers were honored by their academic colleges during a ceremonial commissionings at the University graduations.